I always like to try and use whatever is left from brewing in a cooking recipe of some sort, and this one is great! 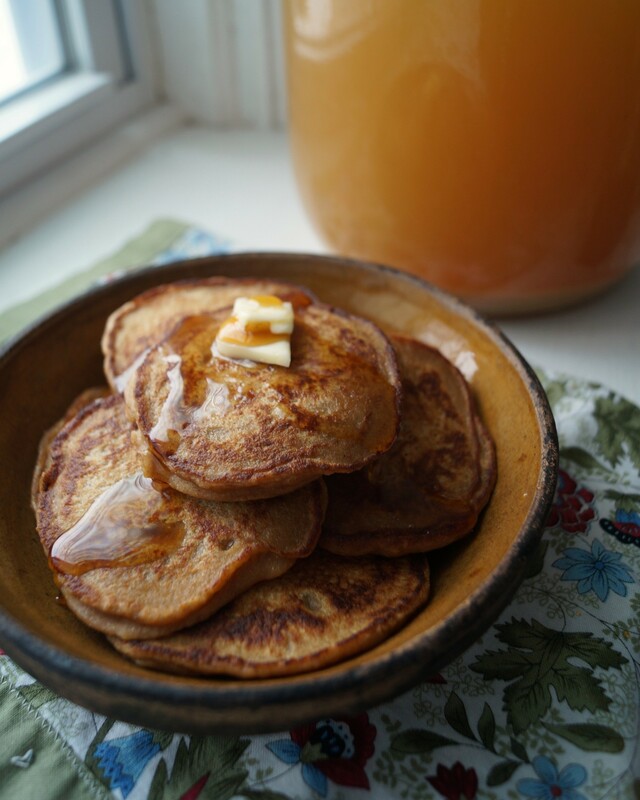 It made fruity, flavorful little pancakes just begging to be doused in maple syrup. Yum! Mix together the first four ingredients, then just enough of the flour to make a dropable batter the same consistency as for pancakes.